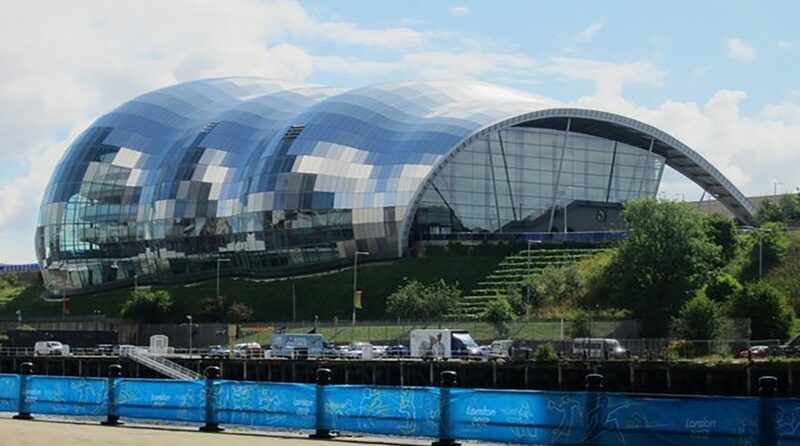 From 29 to 31 March, the Sage, Gateshead, is set to host the 2019 edition of the annual BBC Radio Three: Free Thinking Festival. Established and organised by Radio Three, the festival will comprise of over 50 events – all free to attend – including lectures, discussions and live radio broadcasts with a specific emphasis on the power of music to tackle this year’s theme; emotion. Whilst last year the festival explored the relationship between the individual and the crowd, the 2019 iteration will investigate topics including the polarised British political atmosphere, our emotional responses to popular culture –both anger and sorrow – and anxiety in teenagers. Amongst those hosting events will be academics from Newcastle University such as music lecturer Kathryn Tickell. Tickell’s band The Darkening will be launching their debut album on Friday 29 March, and Kathryn will be participating in two festival events throughout the day. The first on the emotional influence of location in music, and in the evening, she will host the BBC Radio show Music Planet, discussing the power of music to facilitate emotion across the globe. Another Newcastle representative, poetry lecturer Dr. Tara Bergin – whose 2017 work The Tragic Death of Eleanor Marx was shortlisted for the TS Elliot Prize- will be discussing her experiences as a writer in a special edition of the radio show The Verb. Does the growth of “grief memoirs, gushing obituaries and feel-good fiction” suggest that contemporary culture has ‘gone soft’? Newcastle’s Dr. Rachel Hewitt, lecturer in Creative Writing, and other Royal Society of Literature fellows will be considering this question on Saturday 30 March. On Sunday 31, Human Geography lecturer Dr. Michael Richardson – one more of the Newcastle contingent – will be investigating why we may feel uneasy vocalising our innermost feelings in The Unsaid. While on the same day, Professor Louise Robinson will participate in “Should Doctors and Nurses Cry?”, a discussion questioning the clinical, and sometimes unemotional, temperament that medical staff are often trained to adopt.